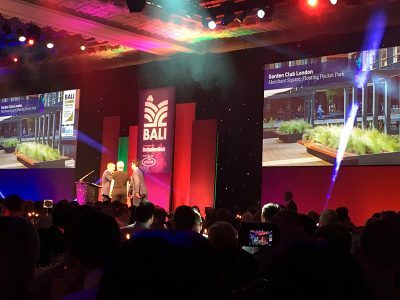 On 1st December 2017 it was Europlanters pleasure to attend the BALI (British Association of Landscape Industries) Awards – the largest landscape awards in Europe, as guests of Garden Club London. The very entertaining host Stephanie McGovern, addressed a record breaking audience of over 1000 BALI members in the Grand Hall at the Grosvenor House Hotel, Park Lane, London. 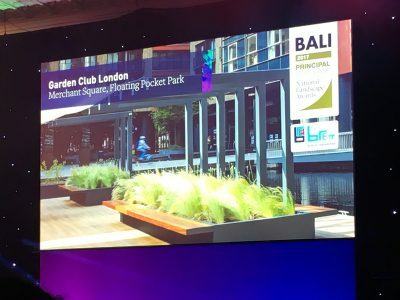 Deservedly, Garden Club London were awarded Principal Award in the Community and Schools Development category for Merchant Square, Paddington for London’s first ever floating, pocket park. A beautiful, original green space in the city. As a wonderful end to the day Garden club London also scooped up the Special Principal Award for the design and build of Merchant Square. The judges of the Awards said that ‘ the quality of workmanship is excellent’ and commented individually on the containers, seating and the covered pergola area having all been expertly installed by the contractor. The judges also commented ‘The design and subsequent construction of the pocket park, demonstrates the contractors ability to innovate and complete landscaping works, however unusual the location to an exceptionally high standard’. Europlanters were ecstatic at the news, as being actively involved in the build we knew the challenges the project brought. Also working collaboratively with such a great team of garden designers and landscapers, together, we were all committed to creating the innovative vision of the client. 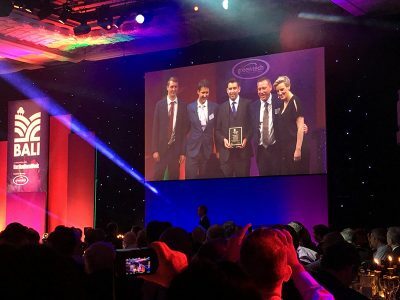 Congratulations to Tony Woods and his team who are well deserved winners of these prestigious awards. For more information about this project please visit our projects page.